To be a successful business leader a person has to commit to adopting best practices from outside. One great way is to read books. I tend to be a slow reader and committing to read a book a week seemed to be a daunting challenge. Then I came across this article titled "how to read a book a week." Here is my journey putting some of those principles to effect. Shout out to "The Noun Project"
I recently started using thenounproject, created in 2010 as an online storehouse for “the world’s visual language,” to add pictures to my blog posts. It is a growing library of free, downloadable icons symbolizing objects and concepts that I find really useful. I wanted to give them a shout out on this blog. The storehouse has icons that help you represent the idea that you are talking about - in a presentation or in a blog post or in any other written communication. The noun project's tag line is "Creating, Sharing and Celebrating the World's Visual Language." It started out as a kickstarter project and has become a sustaining project. here is a link to the blog post on the lessons learnt from the founders. Contributors upload thousands of symbols for you to use. I found the search to be intuitive and very good. You can buy the icons and use them for a project. You can download and use the icons for free by following proper attribution. Also many of the icons / symbols are public domain which you can download and use without worrying about attribution. I love those "eat mor chikin" advertisements from Chick-fil-A! They are very creative and they are everywhere where I live. For those who have not seen it, it is usually a picture of three cows, having pigdin English signs saying - most times "eat more chicken" and sometimes "if you eat beef, you will ..." Quite a clever way to highlighting Chick-fil-A's "purple cow." According to the Chick-fil-A website, "the fearless cows (wielding paint brushes), acting in enlightened self-interest, realized that when people eat chicken, they don't eat them. Today, the cows' herds have increased and their message reaches millions - on television, radio, the internet, and the occasional water tower." The May 2014 National Geographic features an article: "A Five-Step Plan to Feed the World," by Jonathan Foley. Jonathan states that the world population will grow 35% to a total of 9.5 billion by 2050. Simultaneously, the rise in prosperity will allow people to consume more products that are above a subsistence level, requiring a 100% increase in crop production. One of the steps he says will be beneficial is to "shift diets". He gives an example of how for every 100 calories of grain that we feed animals, we get only about 40 new calories of milk, 22 calories of eggs, 12 of chicken, 10 of pork, or 3 of beef. Running everyday for the last 45 years! 190,715 miles!! Hats off to Jon Sutherland! Jon, a California high school cross country coach, broke the record for the longest running streak in the U.S. - 16,438 days in a row. I try to run everyday. I succeed for a few days at a time; the continuous stretches are measured in days rather than weeks, let alone years! 190,000 miles of running over a life time - that is crazy too. The first time I looked at that number, it looked doable at my current pace. Then I did the math. In 12 years, I have done 9746.1 miles - I have been lucky to have not had any major injuries. It will take me 223 more years! I am not planning to be around that long, let alone trying to run that many years! Even more impressive than the distance and the number of consecutive days he has run, is the fact that he has run through injuries - 10 broken bones, a fractured hip, arthroscopic surgeries on both knees. I like the way he put it, "And you just really miss [running], you know. You miss the sweating and the wind blowing through your hair and, you know, the movement and just the exercise. You really miss it. It really is a physical addiction." Well said! Woke up the daughter at 3 AM and walked with her to the golf course to see the meteor shower. It was a beautiful, calm, nearly cloud free night. The crescent moon was just above the eastern horizon and the action was to be in the North. Perfect temperature for short sleeves. No mosquitoes. Heard the goose. Heard the crickets. Heard the frogs. Couldn't have asked for better viewing conditions. No meteors were visible. Could have been that the meteor shower was a dud. Could be that we did not have the patience to make sure eyes are adapted to the dark – this takes about 45 minutes -without looking at a phone screen or any other light source. Got home and was at least able to see the conjunction of Venus and Moon. Thankful for the walk with the daughter listening to all she has learned about constellations from "Fancy Nancy Sees Stars"! Not sure I can convince her to get up in the middle of the night to see some celestial happening again, but that is for another time. have gone on recently to win predictive-modeling competitions." to hone their skills and a chance to distinguish themselves." When I looked at announcement about Coursera a year or so back I was intrigued. For those who have not heard about it, Coursera is social entrepreneurship company that partners with the top universities in the world to offer courses online for anyone to take, for free. At that time, Coursera was just gaining steam. I did not find the list of courses relevant to me till about a couple of months back. Lately, the number of courses has increased dramatically. I did a couple of courses - one a 6 week course (on Statistics) and another a 10 week course (on Finance). A mindboggling statistics from one of the courses: there were 75,000 students from around the world taking the course simultaneously with me! I would highly recommend Coursera to anybody. At least check the course lists and try out one of them. There were a few hiccups. The site was down for a few days. I got un-enrolled 4 weeks into a course. I chalk it up to growing pains. All of the issues were resolved quickly and without much impact to me, the user. The professors and teaching assistants were also learning with us: how to deliver a course to thousands of students at a time; give out challenging evaluations given the huge discrepancy in the knowledge level; evaluate thousands of students every week, and deliver credentials based on performance. In both the courses I took, the professors took the input from forums and changed the course for better mid-way through the program. I was looking at marketing automation alternatives over the weekend. 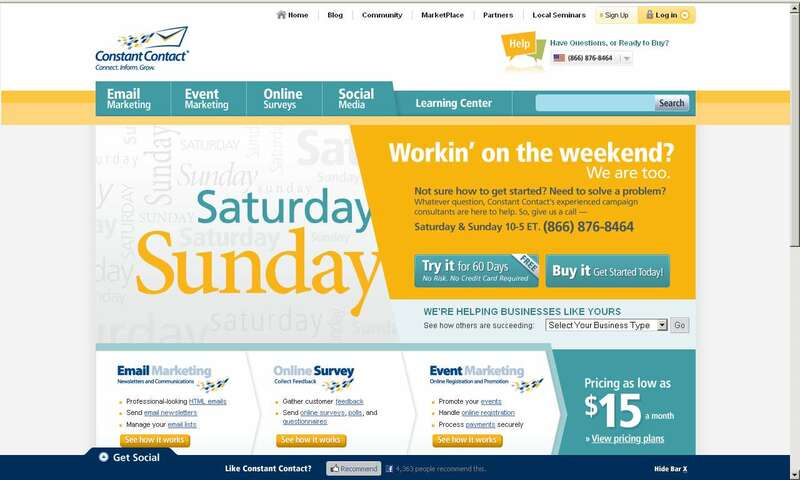 I visited the website for ConstantContact. I had used in my prior life. Saw this homepage. Couldn't help but be impressed by it. Very relevant to the time and the audience. Communicates a positive vibe - "this company understands me." One Indian city building more cars than any state in the US? Wow! A recent Wall Street Journal article talks about a new Detroit rising in India that will soon be building "close to 1.5 million vehicles a year, more than any one U.S. state made last year." Car makers and car parts suppliers account for "12% of the economic output of the state." Guesses which city? I would have guessed Pune not Chennai! ( "New Detroit Rises in India" - subscription may be required). I remember meeting the CIO of KIA in 2003 and he mentioning that Chennai as one of their main regional production hubs in their global strategy. So I am not surprised by the statement that "Hyundai has invested $2 billion [in Chennai], and recently expanded to be able to produce 650,000 cars a year." On the other hand, the diversity of the manufacturers surprised me: Ford Motor Co., Hyundai Motor Co, Nissan Motor Co., Renault SA, Daimler AG, BMW AG, Michelin SA and Saint-Gobain SA. A sprawling amusement park across the street from the Hyundai factory, a French bakery, evangelical Korean churches and Japanese grocery stores have popped up in recent years. On the other hand, I hope that they have learnt the lessons from Michigan. Depending on one industry for 12% of economic output leads to pain down the road and the time to diversify is now, when the going is good. When the cosmopolitan environment is being built and people see the potential, it is the time to woo at least couple of other industries which are not tightly linked to car manufacturing. I am ooking forward to the visit. Did the numbers surprise you? Factory meets Hospital - Gain is just 2.3%? New York Times had a great article on "Factory Efficiency Comes to the Hospital" talking about how the concepts that were perfected in the factories are helping hospitals to reduce cost and improve care at the same time rather than trading one for the other. Hospitals are utilizing concepts like Kanban, continuous learning, visual aids, standardization of processes, and checklists. Some of the hospitals are even putting out sharing events like what Dell used to put on to show case their processes and systems that drove their efficiency in the factory and in the supply chain. It is a great article that talks about change management challenges and how the buy-in was achieved. What disappointed me was the results. I would have thought that a lot more is possible. Either lot more was done but not captured here or a lot was left on the table. What do you think? I have known Narayan for a long time. We have traded lots of great stories over that time. This article, on how he started out in the pursuit of applying optimization to business problems, is the funniest one! Certainly worth a read. In my experience, as Narayan observes, the predictive layer as a solution is underappreciated. A system that assists the user to make the "best" decision has a much better chance of getting used than a system that spits out the "best" decision at the user. Savings Rate - Where is it going? There seems to be a general belief that in the US, there has been a reset of consumer behavior after the "great recession." I saw a recent Bain consulting study that claims that the new normal is that "consumers transition to a moderately higher savings rate of 7-9%." If the personal savings rate goes up, then the belief is that more of the money will find its way to the banks and the banks will be able to make more money using those cheap funds from deposit accounts. I quite don't see it that way. I think that the consumer is going to go back to the old ways in the next 18 months as the economy stabilizes, as the US economy stops shedding jobs in aggregate even if it is not adding net new jobs. The savings rate has been in a steady downward trend for a long time driven by the availability of easy consumer credit, confidence in the long term prosperity, and increase in wealth in the home and stock equity. Some argue that the home equity has decreased significantly in this housing correction and hence people will save more to off-set that decrease in wealth. In reality, studies by the federal reserve show that "over five-year periods, the effect of capital gains in corporate equities on saving is substantially larger than the effect of capital gains in housing or other assets." I contend that the great recession is a temporary interruption in that trend rather than an instigator of the "new normal." Bureau of Economic analysis report on March 29th on PERSONAL INCOME AND OUTLAYS is a good exhibit. "Personal saving as a percentage of disposable personal income was 3.1 percent in February, compared with 3.4 percent in January." I have calculated the 4 month moving average based on the latest data from St. Louis Fed. The trend in the last 5 months is down. What do you think the savings rate will do in the US? Will go back to the pre-"great recession" trend or will stabilize at a higher rate? Try this experiment. Log into amazon.com (if you have one), put 10 or 15 products into your shopping cart, then logout of amazon.com. Go back a day or two later and check your shopping cart. You would be amazed. Amazon shows which products have changed price since you last checked the cart. A helpful window at the top of the page. That is helpful to decide whether you are going to buy them at the new price or you want to take them off your shopping cart. Here is what I saw 24 hours after I put 12 products in my shopping cart. But wait a minute! Why are there so many price changes? And why are the price changes for a few dollars here or a few dollars there? This is March, not the big holiday season. No major sales promotions are going on. What's going on here? I have seen amazon.com change prices throughout the year. Have you had a similar experience? Why do you think they have so many price changes? My guess is that they are building up a huge database of consumer behavior as price changes. They can use that to make more and more sophisticated decisions on pricing. In 2000, amazon.com got into hot water when they charged different prices for different customers. Customers called it a "bad idea," and others branded it "sneaky" and "unethical". In its defense Amazon said that the prices people are offered had less to do with past purchasing decisions of customers and more to do with testing of customer behavior. The price testing that they are doing here is a lot more acceptable to customers, I think. Do you find it odd that Amazon changes prices by trivial amounts so often? Do you think this is a better way of price testing than quoting different prices to different customers at any given time? Do you think Amazon has the biggest price elasticity (how consumer price changes as price changes) database? Flying Blind: How long before you know what your retail partner has done? The pricing team at the retailer has been looking at the price of products in the dry grocery department for the last three weeks. They have decided that they need to increase the price of the FoodULove soups in all the stores in the southwest and west. That will decrease the revenue from FoodULove soups, but increase the sales of the retailer private label brand and also increase the margin across the soups category. Looks like a winning strategy for the retailer and they started rolling this strategy out last week. Sam Sellalot in the mean time has access to all the store sales data daily. Given all the priorities, he gets his analyst to look at the data only once a month. The analyst will download month worth of data, do a standard report, comparing last with last quarter data and year over year data. Sam liked the end of February report and he just finished sending out the report to headquarters telling them how well things are going at the large retailer. Headquarters is going to continue with their plan to build and stock inventory in anticipation of the usual order from the retailer. Let us not spoil Sam's mood by predicting what he is going to see at the end of the March report. If only Sam had a simple system that helps him use the data to arrive at decisions! His organization could have monitored the daily retailer data, identified the price change, and calculated the impact of the price change on FoodULove shipments for the quarter he would have been aware of what is happening and reacted to it - either by setting the revenue expectation at Headquarters based on the impact or worked with the retailer to mitigate the impact. High ticket price for peak travel - thanks to a low cost airline? Dynamic pricing or yield management or revenue management helped airlines charge higher price from consumers booking seats at the last minute or flying a popular route at a peak period. It is interesting to note that all of this originated in response to a survival threat to the airlines from a low cost carrier! PEOPLExpress started a low-price airline in April 1981 leveraging a lean-workforce, low cost structure, and "low-frills" - even for snacks and checked luggage. In 1983, it started a Newark-London flight for $149 each way and all flights sold-out for several months within a day. PEOPLExpress reached $1 Billion in sales in just 4 years and had become the 5th largest US airline starting from scratch. The high growth rate and the popularity were a significant threat to American Airlines and other "full-service" airlines with their high cost structure and hence high ticket price. The typical response in this environment is predatory pricing. For example, American could have dropped the price to match or beat PEOPLExpress prices in each of the routes where they were competing with PEOPLExpress and make up the losses their with profits on other routes where they were not under threat from the low cost carrier. But given the size that PEOPLExpress had reached, that would have been a pretty ruinous competition for the "full-service" providers. American Airlines's response to the threat to survival was extraordinary and revolutionary. PEOPLExpress and most carriers at that time were charging the nearly the same price for all the seats in a class in a route. In January 1985, American introduced deep discount fares across its network without taking a significant profitability hit. American's secret was, of course, dynamic pricing or yield management. Yield management involved the careful calculation of how many late booking, high fare, profit producing customers would come through, charging them higher, and then discounting the rest of the seats (which was significant percentage of seats in the plane) to maximize revenue. PEOPLExpress had to cut their cost (to get the mass of the flying public) or improve their "frills" (to attract the profit producing high expectation customers) or get into their own "differentiated pricing." They tried improving their service but failed to maintain their profitability and growth and the PEOPLExpress went out of business in February 1987. In those three years (1985 to1987), American attributed 1.4 B$s in increased revenues to yield management. The low cost airline disappeared but the higher prices for some travelers and lower prices for others that it engendered is with us even now. Yield Management has been successful in other industries but has been a challenge in others like supply chain management. Enterprise Software Pricing - how satisfying are current pricing methods? I had written an earlier post on enterprise software pricing strategy - best practices in pricing. In that context, I came across a survey titled 2009 Key Trends in Software Pricing and Licensing Survey (registration required) by Flexera software which is really eye opening. According to the survey by Flexera Software, "The 2009 survey shows that only 45% of software vendors believe their company’s pricing and licensing strategies are effective or very effective at capturing the value that the software provides to customers. This could mean that the producers have not yet developed a pricing model that has fully captured the complete solution they offer, or that a sizable portion of respondents think they are underpricing the total delivered value of their offerings." Also in an article titled, Software Pricing: Getting Back to Growth by Accenture, they state that there are three main areas where software vendors are struggling with pricing and one of them is that product managers and marketing managers are hard-pressed to make smart decisions about price setting. The other two issues that they mention are soaring difficulty of price administration and publishing - how to capture, code, and communicate pricing decisions to internal sales teams and to channel - and in ways that are comprehensible to customers too and the formidable challenges to the mechanics of sales activities - understanding customers' changing requirement in order to sell on value, identifying and planning for conversations with new economic buyers, and much more. In that same Accenture article, there is this eye popping statistics: only 31% of the enterprises were satisfied with the pricing strategy of their software providers. The uproar over the maintenance price strategy changes by Oracle and SAP is only a reflection of this one. This article does not differentiate between the discontent caused by the pricing strategy (per user pricing versus processor / core pricing versus revenue based pricing) and the discontent because of the price. Review of core business model in light of the potential impact of new offerings, term licenses, and SaaS components. Look at the total revenue from the customer including license, subscription, services, and maintenance and decide on the packaging, bundling, and pricing schemes. Standardize pricing approaches (not necessarily pricing strategies) across product lines. This helps later analysis of each transaction in a standard framework for decision making. Implement "formula" or rules based pricing to help salespeople construct deals. Use pricing applications to enable best-practice pricing. Focus on organizational improvement. Diffused ownership across product management, product marketing, finance, and sales means nobody is finally accountable. A central pricing group is important. In my mind, all of Accenture's suggestions are around price execution and does not address all the issues with pricing. I will cover that in another post. Analytics magazine, published by INFORMS, has an article in the February 2010 edition that talks about the drivers that lead to the maturity of the sports analytics field in the last few decades. I thought it is a great framework for the maturity of statistical analysis in sports. According to James J. Cochran, Louisiana Tech University, the following are 4 profound changes that have happened in the last few decades in sports analytics. Availability of data: Early on the data that was available on a player could fit in a trading card. Now data is available down to each pitch at each game - who was the pitcher, what type of pitch was it, what was the speed of the pitch, whether the batter was batting right handed or left handed, what was the result etc. Electronic storage of this data together with incredible computational power: This has allowed for incredible level of analysis. A while back just free throw percentage was available for a player. Now statistics include PER (Player Efficiency Rating), DWS (Defensive Win Shares), USG% (usage percentage) etc. More people started applying their brain power to these analysis including Bayesian statistics, mathematical programming, and multi-variate statistics to gain insight. You can figure out how much each player has influenced the win-loss ratio, for example. Management and player decisions started relying on these rather than just on gut feel. This was made popular first by the Oakland Athletics. They utilized it very well in scouting for new players, when to trade a player because even though a player is very productive, his contract or future salary expectation is not worth the production etc. Curt Schilling is famous for his preparation using "data analysis" which turned him from an average pitcher to a great pitcher - thoroughly studying opposing hitters, watching for tendencies he could exploit on the mound, what he had done before and how the hitter had reacted to it. The same kind of maturity has happened in a lot more fields: credit risk analysis, retailer segmentation of consumers, equity analysis, etc. I thought this is a very nice framework to compare the maturity of statistical analysis in different fields. More than half the players on the MLB Roster are pitchers! Did not realize that. In a baseball game, a team has, on the field, 9 players out of which 1 is a pitcher. Interesting statistics. More than half the players on the Major League Baseball (MLB) Roster are pitchers! This is what I found from the 40-man rosters of 8 randomly selected MLB teams (1/2 in each league) as they stand today. After I saws the statistics collated, I rationalized it. The starting pitchers are on 4 or 5 game rotation during the regular season - so the hitters start 150 to 160 games, the pitchers start 30 to 35 games. Also you need the bullpen - the relievers to come in after the starter and a closer in most games. You need right-handers and left-handers in the bull-pen. Till I looked at it, I wouldn't have guessed that the fraction of the roster who are pitchers is that high. Searches lead to better spell checker? I came across this interesting perspective: Google's knowledge of search terms entered by users has given them the world's best spell checker! More interesting is the way they are focused on monetizing data. Google is very good at learning from data. They realized that they had the world's largest collection of misspellings. They just have to wait for users to misspell a word. Once the search result comes back, the user identifies what they actually wanted to type in. That is a gold mine - world's largest library of misspellings. The library becomes better overtime, because they accumulate more and more variants over time. Google realized that they could use that library of misspellings and come up with a great spell checker in many languages which organically becomes better and better. The same is true for their translation engine. These have started helping them have a crucial advantage in their office productivity suite - good enough interface but best in class spell checker, best in class automatic language translation etc. Compare this with how other industries use data and you can see the huge potential for improvement in other industries like Credit Cards. Interesting. There has been a huge improvement in the area of recommendations from consumer data in the last 5 years. From Netflix to Kroger to Amazon to Google. Why are the credit card companies not as aggressive in getting into this? Dunnhumby (partially owned by Kroger in the US and Tesco in the UK) perfected the art of sending out coupons to consumers based on their purchases. Dunnhumby combines loyalty card information (what you bought in the last few trips), sales data (basket analysis - what products were bought together) and more traditional market research to figure out which consumers will be motivated to purchase by what offers. From all anecdotal information and news reports, the coupons have been right on the money: "Americans, even in this 'great recession,' are still redeeming only 1 percent to 3 percent of paper coupons. In contrast, Kroger, the nation’s largest traditional grocery chain says as many as half the coupons it sends regular customers do get used.". Google has been targeting ads on the internet based on search terms, mails in Gmail etc. They have proved to be good at it based on the market share they are gaining in advertisement dollars. Amazon has very good recommendation engine not only based on what a consumer bought from them, but also what the user browsed before they bought. Netflix competition winners BellKor showed a great way to recommend movies to customers based on the movies they have watched and rated. There is continued improvement in this area. The Netflix competition focused on increasing accuracy of recommendations. Accuracy of recommendations is not an end-all. Suggesting one generic romantic comedy after another (say What Happens in Vegas and Just Married) just because a user rated When Harry Met Sally five stars is not helpful. In a paper that will be released by PNAS, a group of scientists, systems that base recommendations on correlations between users can miss niche items that a user might like, but would never find on his own. Research indicates that the most interesting recommendations and information originate from "weak ties" in a system, between users that are somewhat similar but disparate enough that they can introduce novelty to each other. These researchers have come up with a hybrid algorithm that could create a body of recommendations that combined novelty items and safer, more accurate pieces. As these recommendation engines get better, we can expect them to utilize all the trails that we leave to be utilized to bombard us with recommendations. Our internet wanderings is already being monetized (Google, Amazon, ...). Our purchases at retail stores are already being monetized (Tesco, Kroger, ...) . Now there is research that shows that "Cell phones show human movement predictable 93% of the time" The claim is that "location awareness" using mobile phones is the next major step in recommendation targeting in 2010 (Placecast working with Northface, ...). The credit card companies know what retailers, restaurants, laundromats etc. that we frequent. Though they don't know what we bought at each of these places, they could easily find out what we think about a particular establishment based on our repeat patronage. They know what other establishments the consumers in the same location, who patronize the same establishments, also frequent. They can send me coupons based on that and based on which retailers are willing to pay for those coupons. If I am in a new city and I am looking for restaurant choices within 5 miles of where I am, they could help me with that (of course, with some retailers highlighted with coupons when the retailer is willing to pay for that marketing through the credit card company) better than anybody else given what they know about me. May be with the reputation issues that credit card companies have today, it might not be the right time, but 2 years from now is an eternity and they need to start now for them to achieve that. Why are they slower than most in targeting us with recommendations (coupons) and get paid for it? Organizations that collect and publish data publicly have the best chance to make fundamental changes. Today, with widespread outsourcing and global procurement, there is a huge risk to the reputation of brand owners from the actions of their suppliers. Thorough on-going audits and corrective actions are proactive steps to address that risk. When companies make these studies public, there are going to be some dirty linen in the data. On the other hand, making the results of the study public is a necessary step to reduce the reputation risk from the supplier actions. I applaud what Apple is doing with their supplier audits and Supplier Responsibility Progress Report. Apple is committed to ensuring the highest standards of social responsibility throughout our supply base. The companies we do business with must provide safe working conditions, treat workers with dignity and respect, and use environmentally responsible manufacturing processes wherever Apple products are made. In 2009, our audits identified 17 core violations: eight violations involving excessive recruitment fees; three cases where underage workers had been hired; three cases where our supplier contracted with non-certified vendors for hazardous waste disposal; and three cases of falsified records provided during the audit. In one instance, Apple’s 2008 audit had revealed falsified records for working hours and days of rest. When Apple returned in 2009 for a core violation re-audit, the facility again falsified records. At 60 facilities, we found records that indicated workers had exceeded weekly maximum of 60 work-hour limits more than 50 percent of the time. On the other hand, the 2010 Apple report also shows progress and shows how Apple is addressing these issues. Given this process at Apple, it would be interesting how the other hi-tech companies compare with Apple in how their suppliers treat their workers and how they are measuring and improving that. Many Hi-Tech companies, including Sony and Dell have a code of conduct for their suppliers, but I have not been able to find a comparable process of verification and public reporting. Shoppers so good at budgeting that they go wrong by 47 cents!! Hawthorne effect? Authors Karen M. Stilley, Jeffrey Inman (both University of Pittsburgh), and Kirk L. Wakefield (Baylor University) say that the average budget deviation (actual spending minus planned spending) in a study they conducted of shoppers in a grocery store was only $0.47. Is this really the case or is it just Hawthorne effect? According to the researchers, the field study was conducted at several grocery stores in Texas. The researchers asked shoppers what items they planned to purchase, how much they expected to spend on the planned items, and how much they expected to spend on the total trip. After shopping, participants provided their receipts and answered questions about themselves and the experience. If the study is accurate, it has a lot of implications for the retail industry. Retail, in many chains, is very promotion driven. Retail spends a lot of money on price promotions and display type promotions. This implies that none of those create incremental sales. My own observation has been that with price fluctuations at the grocery stores, even if you purchase the same thing every trip, you will have trouble nailing the estimate of your final bill to 47 cents when the average bill is 20$. In reality, the consumer's basket changes from one trip to the next for various reasons: pantry loading, changes in their needs because of what they are planning to cook that week, impulse shopping etc. There is even more reason why a shopper can't nail their estimate this well. Analysis of point of sales data at a store product day level over a period of years at varied chains from low promoters like Walmart and Target to high promoters like FoodLion and Safeway show that price promotions have a significant impact on sales. There is a discrepancy between the analysis by product and this study by shopper. One possible explanation is that the shopper adjusts their buy of other products when they buy something that is on sale. On the other hand, in a normal shopping trip, shoppers don't keep a mental accounting of how much they have bought; at least not very well. So the analysis of sales from an individual product perspective doesn't jive with the analysis of sales from the consumer perspective. My contention is that in this study, the shoppers altered their behavior according to how they answered the questions at the start of the trip. In my mind this is classical Hawthorne effect. Hawthorne effect is described as "a form of reactivity whereby subjects improve an aspect of their behavior being experimentally measured simply in response to the fact that they are being studied." The shoppers told the researchers they are going to spend $25.50, let us say. They adjusted their shopping to hit something close to that $25.50. Then they rationalized any deviations which are explained here as "slack". In my mind this is not a normal shopping trip. The shopping trip has been influenced by the fact that it is under observation and people would like others to believe that they are good at budgeting. I doubt the implications of this study on effectiveness of promotions. Long live promotions! The story of your death is premature. What do you think? I am old fashioned. I think email is my unifying communication mechanism. My voice mail transcripts from Vonage and Google Voice come to my email. But SMS has been an annoying exception till now, but not anymore. A large corporation in high volume, low margin business had made a strategic decision at the board level to start a high margin business. Start up operations within a large parent face unique dynamics. I am looking for case studies of what the new ventures had to do, culturally and organizationally, to be successful in the larger corporation. An example of this kind of a new venture could be a hardware company building a new venture focused on software solution. I am looking for details on what the fledgling organization has to do to succeed: (a) building its own identity, (b) creating an excitement for the group, and (c) standing out from the rest of the organization but preventing it from becoming isolated and marginalized. The fledgling organization face at least three major issues - proving legitimacy, resource contention, and passive resistance or organizational inertia. The new venture has to sell the internal and external stakeholders of the viability and longevity of and the organizational commitment to the idea. The internal (peer organizations) and external stakeholders (including customers and partners) have to understand that the fledgling organization is not the idea of the month but is legitimate and is going to support the solution for the longer term. The new venture is often short of resources and must compete with other established departments within the organization that are requiring the resources for "proven" tasks. The new venture also has to enthuse other departments and reduce their perception of threat from the innovation and the change the new venture augurs. Without that the new venture either faces indifference or worse, resistance from the other parts both inside and outside the corporation. The new venture has to build the bridges but also gain an independent identity to overcome these three organizational dynamics. The team that created Novopen, the first user-friendly insulin delivery solution, with in Novo Nordisk comes to mind but I don't have much details on the things that Novo Nordisk did to make the team successful. I am interested in how (how the team succeeded) rather than whether (whether a low margin, high volume business should setup a separate organization to create high margin business). Enterprise Software Design: Is 4 a crowd? In consumer products, with the success of Apple and Google, the thesis that is gaining credence is that for a (revolutionary) new product - "Pick three key attributes or features, get those things very, very right, and then forget about everything else." Does the same apply to *revolutionary* new products in enterprise software? I think it does, though whether three is the right number and four or a similar small number is a crowd is open for discussion. Paul refers to the slashdot review of apple ipod "No wireless. Less space than a nomad. Lame. "and points out that ""more features = better" mindset is the reason why so many otherwise smart people are bad at product design." He recommends that the three attributes that you pick should define the fundamental essence and value of the product -- the rest is noise. As a disclaimer he states that "This advice probably only applies to consumer products (ones where the purchaser is also the user -- this includes some business products). For markets that have purchasing processes with long lists of feature requirements, you should probably just crank out as many features as possible and not waste time on simplicity or usability." I agree that for enterprise software that requires a purchasing process, if the solution is evolutionary, then cranking out as many features could be important. On the other hand, I believe that for revolutionary new products, even in enterprise software, picking a few (really few) attributes and getting them "very, very right" is the way to success. A revolutionary product, that creates an uncontested market space, has to have three characteristics - focus, divergence, and compelling tagline. The focus is needed to create exceptional buyer utility at the right strategic price. This can be done only by consciously doing less or none of some and doing more of some. Let us look at what Michael Bloomberg did to create a huge success with his system. He focused on the trader. He focused on three things and did them exceptionally well. Those three were (1) easy access to data, (2) push button (quick) and built-in analytic capability, and (3) services to enhance the personal lives of the traders. He did barely enough to satisfy the IT organization of these brokerage and investment companies. He did not try to reproduce all the capabilities that the established players like Reuters and Telerate had. Of course, enterprise software, in most cases, has the challenge of having to be sold to a corporate purchasing agent (procurement / IT) and functional users (Line of business / IT) that are distinct entities. Revolutionary new enterprise software is going to be focused on early adopters. In those sales cycles, the influence of "corporate purchasing agent" is not going to be significant. Laser like focus on the group that it is targeted is acceptable and required. SAP succeeded early by delighting the IT organization and satisfying the functional user. Bloomberg succeeded early by delighting the functional user and satisfying the IT organization. Pick your path but don't try to delight everybody. Picking four attributes might not be a crowd in enterprise software, but focusing on a very small number of attributes and doing them "very, very right" is necessary, in my mind for a introductory product focused on creating an uncontested market space. Other attributes will become later on as the product evolves and reaches mainstream. Software as a Service (SaaS) solutions have a significant advantage over enterprise software: they store data in the same version of the software in the same schema across all / many of their customers and this gives them opportunity to setup business models to monetize that information in creative ways. Software as a Service solutions have established beachhead in a large percentage of enterprises. Early on they started out in processes like Customer Relationship Management (CRM), Human Capital Management (HCM) / talent management etc. These processes are more standardized across enterprises and don't need much of customization. CRM had the additional advantage that many users are not in offices and having a vendor who is skilled at managing access to these mobiles users was a big advantage. In the last three years, enterprises have started adopting SaaS solutions in processes like procurement, inter-company collaboration including retail collaboration, transportation management. These processes have significant data exchange with parties external to the enterprise. That gives a significant advantage for the SaaS solution providers. One major advantage of the pure SaaS companies is that many of them are multi-tenant and keep all of their customers on the same version of the software and the same data schema. This allows them the ability to aggregate data across enterprises if their customers would allow them to. IRI and Nielsen buy store level sales data, loyalty card information etc. from retailers for 100s of millions of dollars, massage and aggregate the data to extract intelligence, and sell that intelligence back to the retailers and the retailers' suppliers. The credit bureaus get data from the banks, collate that information by customer across multiple sources, make judgments, and then sell that intelligence back as credit score information to banks and other credit providers. I have not see that model successfully applied in many other areas. Is there a significant opportunity for a SaaS vendor who has gained significant market share in certain processes? The vendor can sell their customers the idea that vendor can pay the customer for the data, then aggregate the data, and utilize it for intelligence: benchmarking and forecasting trends. Let us take an example of a multi-tenant SaaS equivalent of a B2B company like Sterling Commerce or GXS/Inovis dealing with a group of OEMs and their suppliers. Benchmarking for a supplier could be against competitors or even unrelated suppliers. Benchmarking could be used to see what percentage of business has a new product garnered at the various OEMs and which OEMs provide the highest opportunity for better penetration. Suppliers are good at measuring themselves based on their internal metrics, but they are not that strong in figuring out how their customers perceive their performance. The benchmarking from a SaaS vendor could provide that "view of the performance through the customers eye" to them. The OEM could buy this information to use as a supplier scorecard in terms of on-time delivery, order completeness, etc. to get continuous improvement from the suppliers. The suppliers could get trends on which OEMs are increasing procurement for different products, how does that jive with what is happening in the market, what of the demand is for inventory restocking versus demand for increased sales (bull-whip effect) etc. Of course, the security concerns of the customers have to be addressed. But a path forward has been blazed by the syndicated data providers in terms of best practices. They have worked out what can be shared and what can not be shared with an eye towards confidentiality of information. Thoughts on the opportunity for SaaS vendors to utilize rich data that they are accumulating to monetize it in a way which will be a win-win-win for the customers, their trading partners, and the SaaS vendor? Pricing: Will you feel that you have been ripped off? Our perception of pricing strategy is funny. A price increase in the face of stronger demand is acceptable sometime and feels like a rip off some other time! California got battered by a series of storms a couple of weeks back. The day before first of the storms hit, I decided to get a raincoat for my son. I looked at the websites of local stores and decided on a raincoat from a national chain. Though they offered "buy online and pickup in store" option, I could not use it since I wanted the raincoat for the next morning. So I used the old fashioned way: called the store up to make sure they had the size I wanted. The lady at the store assured me that the raincoat in the size I wanted was in stock and actually it was on sale for 70% off. I got to the store, got the raincoat and when the store associate rang it up, the 70% off was gone. The POS system had been updated with the new price and the store associates had not had the time to pull down the 70% off sign. Somebody at headquarters might have seen either the demand going up or seen the weather pattern and decided that the 70% markdown on the raincoat doesn't make sense in that store. But what ever the reason for the sales discount going of, I was not a happy camper. It looked like a bait and switch to me. Milk prices have been at a low level for a long time. But in the past couple of weeks, they have started going up significantly. The reason is that milk demand has gone up while supplies have not gone up the same amount. I continue to buy milk at the higher price with out complaining. If demand goes up and they remove the 70% markdown, why does it sound like a big deal to me, while the milk price increase for the same reason doesn't elicit the same visceral reaction? If knowing that the storm is coming through, they had doubled the price of an umbrella that I was going to buy, I bet I would have had the same reaction. A couple of years back when gas prices went up in the south east because of refinery problems, there was a big hue and cry to investigate the gas stations for price gouging. How is that different from milk prices going up? What would your reaction be to sudden price spike in the face of a demand spike (weather related or otherwise)? Why do some price increases get a visceral reaction from you while other price increases don't? The post on the best practices for buying products at the store and returning them at the store got a lot of response. I am posting this to summarize the responses. Multi-channel retailers (ones with physical stores) are trying to get a leg up on pure web retailers by offering "(web)site to store" options and / or convenient returns at the store for their customers. What are the best practices to deal with products that were bought at the webstore, are returned to the physical store but are not in the assortment for that particular physical store? High value, low shipping cost items might be better of returned to the DC for the on-line store. donate to a cause which the store was going to be contributing to anyway. markdown at a store to attract impulse shopper since the shopper is not looking for that product at that store usually given they have been trained to the assortment in the store. One of the best answers came from Rebecca Berns, SPHR. Her comments exceeded the comment limit for blogger. So I have attached her comment below. I agree with Tom. And I think you are right - in-store returns are a win-win for the consumer and retailer. Those who allow returns in-store will win over many customers who enjoy the convenience of a larger assortment AND the convenience of easy returns. More and more, consumers will simply refuse to buy online from a retailer if they can't return in-store. And Tom is right, a KEY point is that the retailer ABSOLUTELY MUST have item information in POS system - seriously it's 2010 - no excuse for failure to do this. And the expense and customer dissatisfaction related to time spent by an in-store associate looking up a manual way to ring a return for products not located in the system would easily eat up any hope of ever making a profit. Trust me on this - I've seen it happen too many times for comfort. The BEST practice most definitely would include in-store customer service training on website purchasing/offers. If I hear one more retail store associate tell me, "Well, the online site is really a "different company", or, "I can't honor any of the prices you may have seen on the website", or , "That's separate from the store, I don't have any idea what sale/promotion/ picture you are talking about." I think I'll gag. Why on earth would a retailer EVER want a customer to hear THAT?!? And yet, it is the script they've created! Amazing - and appalling! The BEST online practices (whether they be for purchasing or returns) are those that are totally integrated with the in-store service. Store associates should have easy/quick ways to access any emails/pictures/marketing/etc that are sent to consumers or shown online. If a retailer puts their logo on a website... then to the consumer, it is ONE AND THE SAME as the brick and mortar stores. As per Roberta's suggestion and the suggestions from your link, I agree, there are several good options, but I believe the answer will vary greatly depending on the retailer, the volume of returns, and even the type of merchandise sold. For apparel, books etc. for example, I would suggest there may be a way to keep the merchandise in-store for sale. A small "token" mark-down would allow the retailer to merchandise the item in the "clearance" section - often a hodge-podge or merchandise already. The retailer "wins" as long as markdowns taken would be small enough to come in under the cost of packing and shipping the merchandise back to the distribution center. I'd poll distribution center managers - even merchandise that is returned in "perfect" condition that is housed on an over-crowded stockroom shelf for a month, then packed by an already over-worked retail store associate and then shipped across the country back to a distribution center, unpacked by a warehouse associate and re-stocked is unlikely to be in the condition necessary for re-purchase. And something to keep in mind... RTVs may not be the most "green" option either. Save the time and headaches for your staff, mark it down and stick it in clearance. If you think it stands a chance of re-sale once it gets back to the distribution center, then surely, it will sell out of the mark-down section. For items where in-store merchandising is not feasible, you may find that shipping from the store to a regional "outlet" or 3rd party retailer is a better option. Again, weigh the odds that the merchandise will arrive at the warehouse in saleable condition and the burden you are putting on your in-store team. As tech-savvy as some retailers have gotten, some may still be woefully behind in back-of-house RTV processing technology. Before suggesting RTVs to a retailer, I suggest you go to one of their stores and personally ship something out using the tools currently in-place. Do they have the capability to scan bar-codes when procesing RTVs or are shipping lists created by hand? Do RTV systems automatically feed into POS on-hand inventory systems or must another step be taken by hand or mailed to an administrative team for processing? How long does it take the on-hand information to be uploaded into the inventory system? Will sales be lost because inventory is in "limbo" for extended periods of time? How will accuracy and shortage in RTVs be monitored and controlled? Are stores set up for easy online integration with outbound shippers? Does the store associate have to take the time to call for a pick up or does the shipper get notified of a pick-up automatically? How much storage space does the average stockroom have? The quantity and size of return items may dictate how often shipping must occur. Is there stock help for outbound RTV shipments in place currently or will sales/customer services have to take time away from the customers to process RTVs? Where will shipping equipment and boxes be housed until returns are processed? What are the costs of purchase and storage be for shipping supplies? Until you have personally shipped returns outbound in the smallest of stockrooms in the company in a store with the bare-bone staff on hand you will be unable to recommend a solution to any retail client. Given the move towards store level customization of assortments, this is going to happen more frequently even in cases where a product is bought at a physical store and returned to a different physical store. Any other creative suggestions for "returns that are not in the store assortment"? 60% of human waste converted to energy in Germany! I came across an article titled "Renewable energy: The seat of power" in The Economist about the better sewage treatment being the next step in renewable energy. I was very encouraged by what is happening here. 60% of human waste converted to energy in Germany! Germany is the king here, but other countries are starting to follow. The article states that, "In America in particular numerous sewage plants have begun processing undigested food in large quantities over the course of 2009." Of course, Germany generates only 200 kWh per person from human waste while an average German consumes nearly 7,500 kWh of electricity per person. And we are not yet talking about other forms of energy consumed by Germans like Diesel, Gasoline, and Natural Gas. In the Supply Chain Shaman, Lora Cecere had highlighted seven phrases as representation of exciting new concepts for 2010. In my mind there is one other one that is worthy of that list. For those that are focused on transforming supply chains, Lora’s article is a great read. If you need a summary, here are the phrases that she highlighted. Out of this one, “sentiment analysis” resonated with me the most. The recent fiasco at Toyota, in my mind, is primarily a failure to understand the sentiment of the customers and hence responding inappropriately to the issue. There is one other word that is worthy of this list – “Systemic Resilience.” I like this definition for “Resilience” from Merriam-Webster – “an ability to recover from or adjust easily to change.” The resilience of the organization is affected not just by their ability but also by ability of the whole system to adjust to change – particularly the ability of the extended supply chain including the suppliers and outsourced manufacturers. Hence the phrase "Systemic Resilience." The demand picture and the financial picture are going to be unsettled for the next few months as we recover from the "great recession." On the demand picture side, nobody can say with conviction what type of recovery we are going to have with a significant unemployment and persistent government deficits across the globe. On the financial picture side, the banks and other financial institutions are being circumspect about lending and that has squeezed the working capital for many of the suppliers to the level where a significant few of them are close to or operating in bankruptcy. Those suppliers' ability to respond to significant changes are going to be very small. Given this situation, companies need to get a measure the resilience of the suppliers. How will their operations, and more importantly, their suppliers’ operations are going to respond to various scenarios – very sharp uptick in demand, slow uptick in demand, flat or slowly eroding demand, sudden dip in demand etc. Companies like Caterpillar are understanding the importance of shoring up the resilience of the extended supply chain and are proactively reaching out to their suppliers to understand how the tier 1 and tier 2 suppliers will respond to changes. They are also asking and understanding what the suppliers’ exposures to weak markets like automotive are. These exposures could risk the suppliers’ viability when least expected. Though I do not agree with some of the things that Caterpillar is doing as part of this exercise, the overall thrust of what they are doing is an essential step that a lot of companies have to take. Caterpillar, Walmart, Kohl's, and a few others are stepping up to provide creative financing to the suppliers, by financing the suppliers' accounts receivables. This helps the suppliers reduce the need for working capital by getting paid for their shipments sooner. Add your thoughts on the importance of focus on "systemic resilience" in 2010. 1. Buying a domain is worth it and these days it is a pittance. 2. Using a free software like blogger blogging is worth it. They are good enough, but remember to point it to your domain (something like blog.yourdomain.com) - pretty easy to do. 4. You have to add an RSS feed and an email subscription feed. Simple process, but it is an extra step that I forgot to do and then went back and did it. 5. If you want, setup a twitter feed. You can allow users to retweet using tweetmeme. You can tweet your articles automatically using twitterfeed. Here is a slide show which can walk you through this one. It is current as of February 2010. I am sure what you see will be different from this as time progresses. This is just a quick guide on what's possible rather than a step by step how to instructions. If you have experience setting up a blog, please add comments. Dealing with customers - now Toyota is bungling it! Inconvenience? 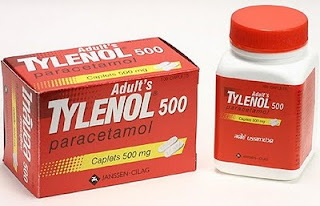 The Platinum standard for dealing with the public for product problems is the "Tylenol recall of 1982." This morning's press conference from Toyota president Akio Toyoda shows that Toyota is really bungling the PR issue. "A wooden-looking Akio Toyoda is reading from a script and apologizing. ...The first bow by Mr. Toyoda was a perfunctory one by Japanese standards. ... While he has apologized for 'causing an inconvenience' to customers, there has been no deep, long bow that is standard in these type of press conferences." I had written a couple of days back that the issue seems to have been primarily sense and respond. I think the PR issue is making it a lot worse than it should be. In 1989, Lexus initiated a voluntary recall of all Lexus LS sold till then, based on a couple of customer complaints in wiring and brake light. In 20 days they replaced the parts on all affected vehicles. Toyota sent technicians to pick up, repair, and return cars to customers free of charge. They also flew in personnel and rented garage space for owners in remote locations. This response helped establish a well deserved reputation for customer service. It is hard to believe that it is the same company that is bungling the public relations this time. I guess the contrast between the Lexus episode and the current Toyota recall episode again proves that “There’s no such thing as a permanently great company or a permanently great industry. All industries rise and fall as do companies. However, there are permanently smart strategic moves” quoting W. Chan Kim & Renee Mauborgne from the Blue Ocean Strategy. Going back to Tylenol episode and comparing that with the current Toyota issue - what are the differences? Johnson and Johnson in 1992 might have thought that people were overreacting to the problem. They could have said that it was caused by a murderer and it is not their fault. But they understood that perception was reality. Toyota seems to be missing that. People might be overreacting to the acceleration problem - it might be something that happens very infrequently and might be easily controlled if the driver knows what to do. But people are worked up about it. Calling it an *inconvenience* is a slap in the face. In 1982, James Burke, the CEO of Johnson and Johnson, appeared in television ads and at news conferences informing consumers of the company's actions. In a news conference only 45 days after the tragedy, he gave detailed chronology of what J&J had done. He was a very visible presence and that helped customers feel comfortable. Toyota seems to have not gotten this. The press conference was perfunctory. Hope they follow up this conference call with more substantial engagement with the public - either the CEO or some other public face of Toyota. 1982 and 1986, when cyanide was discovered in the Tylenol bottles on the store shelves, J&J immediately and indefinitely canceled all television ads for Tylenol, established a hot-line to answer consumer questions and in 1986 issued a nationwide warning minutes after news came out that people should not use Tylenol capsules. They offered refunds or exchanges to customers who had purchased Tylenol capsules. The speed of reaction earned a lot of positive brand vibes. Toyota, fairly or unfairly, is being accused of hiding the complaints and not reacting to them. Fighting that perception by saying "No, we did not do that" is not going to help. Show rapid positive actions and communicate them widely and that is the only way to get people to forget the perceptions of mis-steps. Thoughts on what else Toyota could do differently to reduce the damage to their brand?